At least, right up until a dead body shows up in the woods behind the esteemed Beechwood Manor. With the townspeople distracted by a mysterious shamrock-themed scavenger hunt, everyone seems content to chalk up the death as a tragic hunting accident. But when the clover-shaped clues lead back to the crime scene, things take a deadly turn. 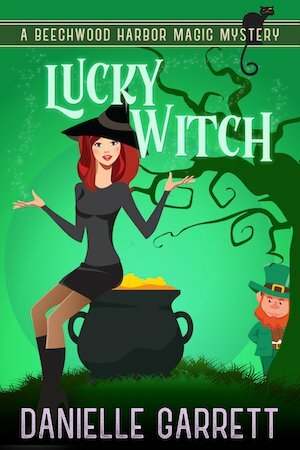 With a rogue leprechaun on the loose and something sinister lurking on the edges of town, it’s up to Holly to stop the murderer and keep secret paranormal powers from swallowing up the sleepy town she’s grown to love.